Despite the grayness of the past few summer days, we’re still doing our damndest to make good on our vow to eat ice cream at least once a day until fall. For all those that share the same views (meaning: ice cream is awesome) we’ve happily got 20 discounted tickets for Edible readers for this Sunday’s New Amsterdam Market fundraiser from 1 to 4 p.m., which will feature seasonal and locally inspired frozen concoctions from The Bent Spoon, Blue Bottle Coffee, Early Bird Cookery, Marlow & Sons, KINGLeche Crème, La Newyorkina, Steve’s Ice Cream, Van Leeuwen Artisan Ice Cream, Otto Pizzeria and Sophia Brittan of Victory Garden, shown here with one of her fantastic goat’s milk soft serve cones. 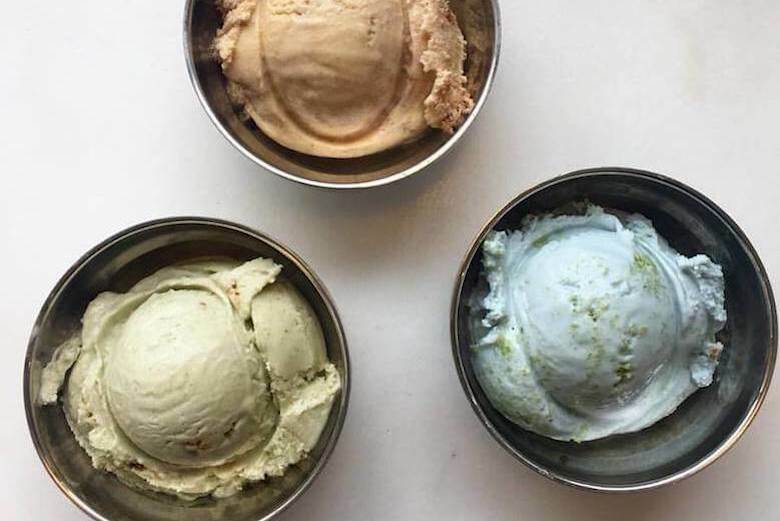 When ordering your ticket, just use the promo code ediblesicecream11 to get a discounted general admission entry with 8 tasting tickets for $20.